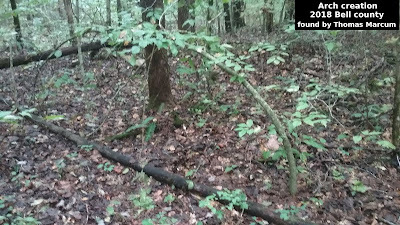 Can you see the ghostly figure? Eastern Kentucky University's Sullivan Hall has long been rumored to be the home of ghostly activity. Sullivan Hall was a women's dormitory on EKU's campus for many years.The ghost is said to be that of a young nurse who committed suicide in the 1970's. This photo was taken by Andrew Beck, a former student of EKU, it shows a ghostly figure next to a soda machine. Hall. 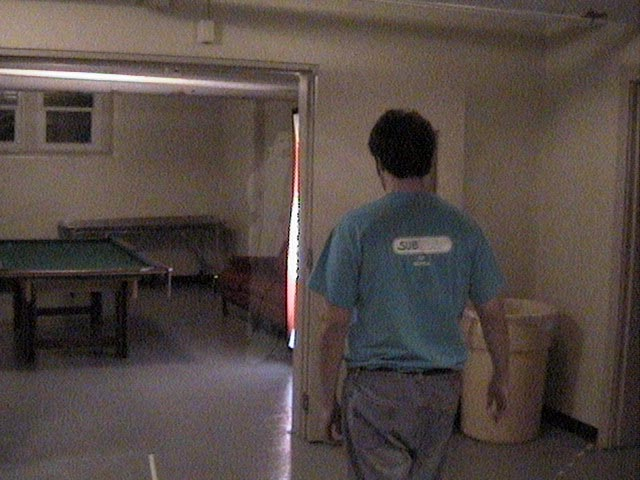 One of our traditions (before the Fire Marshall shut us down) was the Sullivan Haunted Hall. I'm sure you've heard the stories of the nursing student who killed herself on the fourth floor of Sullivan (a room which I lived across the hall from). took a few pictures with my camera. Later, I had them developed, and noticed something VERY strange in the photo of Reid near the Coke machine." Beck went on to say "The original picture still resides (somewhere) in Sullivan Hall. We had it framed for posterity, but I moved out of Sullivan in Spring of 06, so I couldn't tell you what happened to it. 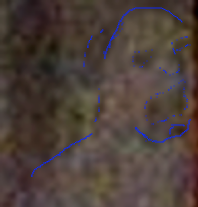 So I have tried to enhance and zoom in on the "ghostly" figure. Notice how the face seems to have grimace to it. Mouth is kind of opened, kind of scary really. Andrew Beck also said this is a direct scan of the photo with the following statement "...a scan of the original picture (hence the graininess; I didn't have a good scanner at the time)"
I've heard stories about EKU and Sullivan Hall for many years now and a lot of people claim to have seen or had weird things happen there but now maybe with this photo there is proof of it.